The Health Bill (Regulation of Termination of Pregnancy) 2018 is in effect from January 1st 2019. The Bill makes elective abortion care legal for the first time in Ireland’s history, however it is far from perfect. The Bill has a built-in three year review period, which means TDs and Senators can propose amendments to the legislation when it comes up for review in 2022. 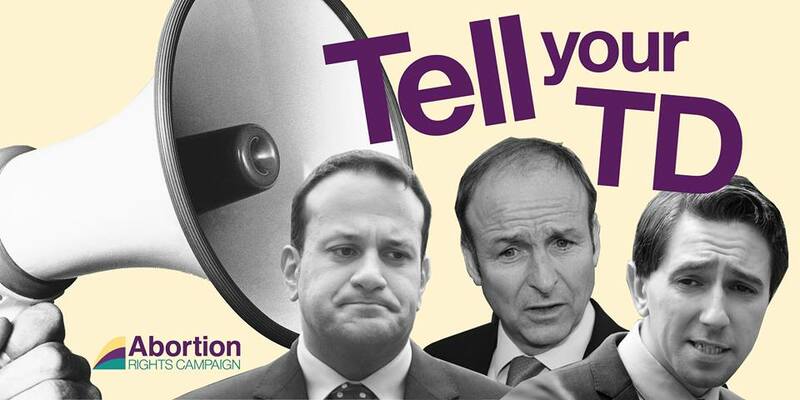 TDs are responsive to issues that their constituents make clear are important to them, so it’s crucial that everyone who wants improvements to the Health Bill talks to their TD about why we need fully free, safe, legal and local abortion services for anyone who wants or needs them. We’ve put together some useful information to help you with this. Available to everyone for free under the public healthcare system, including people in Northern Ireland. Read more about abortion and the North here. Free of stigma, harassment, and intimidation – see our post on Safe Access Zones here. No longer a crime for anyone–patients, doctors, or anyone else who provides information or support. See our Decriminalisation post for more information. Maybe you have a disability and the current mandatory three-day wait is an especially difficult barrier for you (Disabled People Together for Yes outline some of these issues here). Maybe you are trans or non-binary and are concerned that your access to abortion care could be affected by the Bill not being in line with the Gender Recognition Act. Maybe you are a member of a community whose access to medical care is compromised anyway, and you need assurances that the legislation guarantees you the care you need when you need it. Maybe you have a health condition and are unclear if the Bill’s reference to ‘serious risk to health’ enables you to access abortion care, if needed, after the limited 12-week period. We know from the referendum that politicians pay attention to us when we tell them our stories and our experiences. If you are comfortable telling your TD specifically how the restrictions in the current legislation affect you, please do so. Those who oppose autonomy and choice will certainly make themselves heard. Don’t let them be the only voices in the conversation!